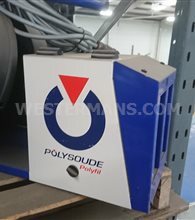 We stock a range of fully refurbished used Polysoude orbital machines. 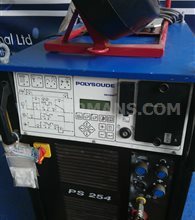 Polysoude is a globally recognised manufacturer of orbital tube welding equipment and is used power plants, refineries, offshore oil platforms around the world. 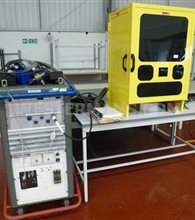 Orbital and automated welding and cladding... Polysoude is renowned for its expertise in orbital TIG welding, with an extensive product range which includes highly efficient equipment for mechanised, automated, robotic and automatic welding systems, as well as solutions for weld overlay cladding applications. 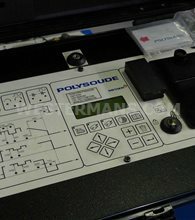 Polysoude has been creating solutions best adapted to the requirements of the industry since its foundation in the early 1960's. 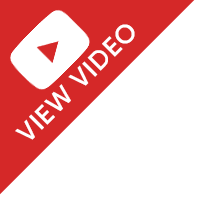 Mastering arc welding processes and their automation is our know-how. 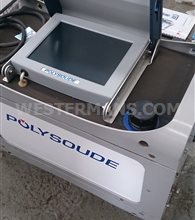 Polysoude uses the latest technologies for maximum quality and minimum defects: TIG/GTAW, Plasma, MIG-MAG/GMAW/FCAW, all position orbital welding and mechanised solutions. Thanks to its worldwide presence, the experience of specialised technicians and the synergy of skills, Polysoude will take you to the highest level. Orbital TIG arc welding processes in evolving automation solutions - find the perfect weld! Polysoude provides a wide standard range of orbital welding equipment "off the shelf", for orbital TIG/GTAW welding. 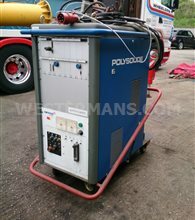 Polysoude also manufactures and supplies solutions for MIG-MAG/GMAW orbital welding machines for all possible orbital welding positions, as well as mechanised solutions integrating the latest arc welding process technologies. The problem with hi-tech equipment is often the expensive capital outlay. Buying a Used machine can be the solution to this problem. 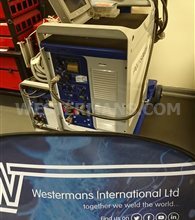 Purchase Used or Refurbished Polysoude welding machine from Westermans for large savings against list price. We've specialised in supplying used and refurbished Polysoude orbital systems for many years. Full function power source "all included" with data acquisition. 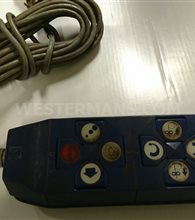 Portable, with full function remote control. Single phase input power source. Intelligent power source, with automatic weld procedure and intuitive user interface. High precision inverter power source and latest most reliable industrial electronics. Single phase input power source. 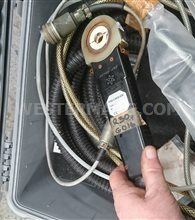 Power source with integral coolant re-circulator. High precision inverter power source for perfectly controlled heat input and weld penetration. Built-in AVC and torch oscillation control (OSC). Built-in AVC and torch oscillation control (OSC). 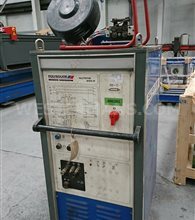 Control of peripheral devices (positioners, manipulators) for mechanised welding. Precision output transistorized power source. 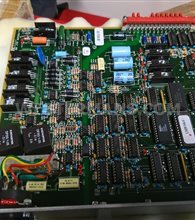 State-of-the-art design with multiple pulse wave from output. Specifically engineered to weld a wide range of materials. Evolutive power source with integrated weld controller. DC output inverter based power source. AC/DC output inverter based power source with square wave, variable polarity output and independant weld controler. High power. 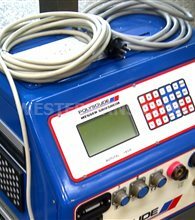 High deposition rate with the hot wire TIG process. High speed with Plasma process. Combination of welding processes. Mechanised welding and robotic solutions. 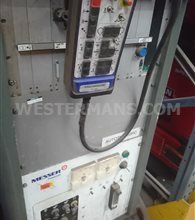 Control unit built in a protected container with interface for standard synergic MIG-MAG/GMAW power sources. As orbital welding is much less labour intensive than manual welding, a welding operator makes 30% more welds per day on average when using orbital welding equipment. Since the weld presents a regular geometry without overlay it does not need to be ground or cleaned. The welding operator can engage in other activities during the welding phase. Low reject and repair rates. Due to the repetitive aspect of the process, weld defects are less likely to occur. The operating process for the equipment is mastered in less than one day's training. A self-programming system and standard program library are included with the power source, making it easy to adapt programs to each type of application. The equipment is extremely simple to use. This means that welding teams could quickly be expanded in the case of increased demand. If you do not have enough equipment to absorb your peak work loads, simply call our rental department. 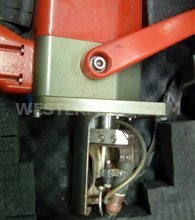 TIG orbital welding allows you to keep ahead of competitors who still use manual welding techniques. 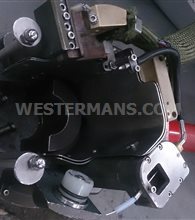 The implementation of adapted automatic welding processes enables to control and limit the amount of heat input required. The principle of the entire weld control avoid as much as possible the deformations. You can adapt the welding program to each individual situation. Torch movements, welding current and wire speed, for example, may be synchronised. In automatic welding, repetitive quality is absolute. Thus there will be no manufacturing flaws. Thanks to the excellent repeatability of the automatic welding process, rejects can be reduced to a minimum. The high adaptability of our equipment and software packages enables you to weld various components using the same equipment. Compared to TIG cold wire orbital, TIG hot wire orbital welding is particularly advantageous for medium and heavy wall thicknesses. The combined effect of increased deposit rate and reduced bevel angle, allows a significant rise in productivity compared with an open bevel angle in TIG cold wire application. Standard preparations used for TIG cold wire welding are generally large bevel preparations such as V or J grooves. Welding with oscillation and single layer passes is used where the wall thickness is less than 20 mm. Welding with a large bevel is advantageous as it can support many different configurations and applications. Mixed bevel types (i.e. elbow joints) can also be used with this type of preparation. This rise in productivity is achieved by decreasing the amount of weld metal to be deposited. If we compare the weld volume of a narrow gap bevel to a classic preparation type 37° compound bevel on a 60 mm wall thickness pipe, this gives a volume saving in favour of narrow gap by a factor of 1:3. Our equipment makes it possible to weld in confined spaces, thus optimizing layout designs.